Newsletters | Sav-R-Cats International, Inc. This entry was posted in Newsletters and tagged newsletter on February 27, 2017 by savrcats. 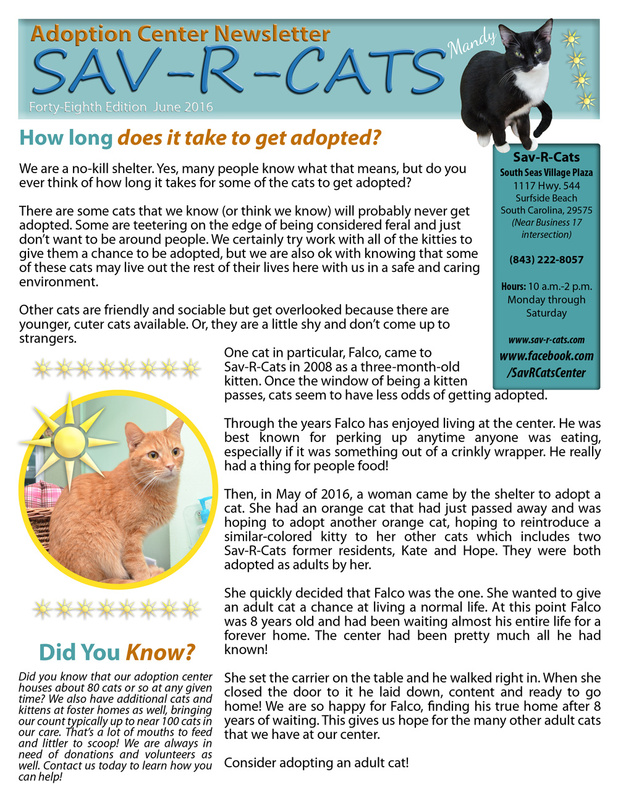 This entry was posted in Newsletters and tagged newsletter on October 1, 2016 by savrcats. This entry was posted in Newsletters on June 1, 2016 by savrcats. 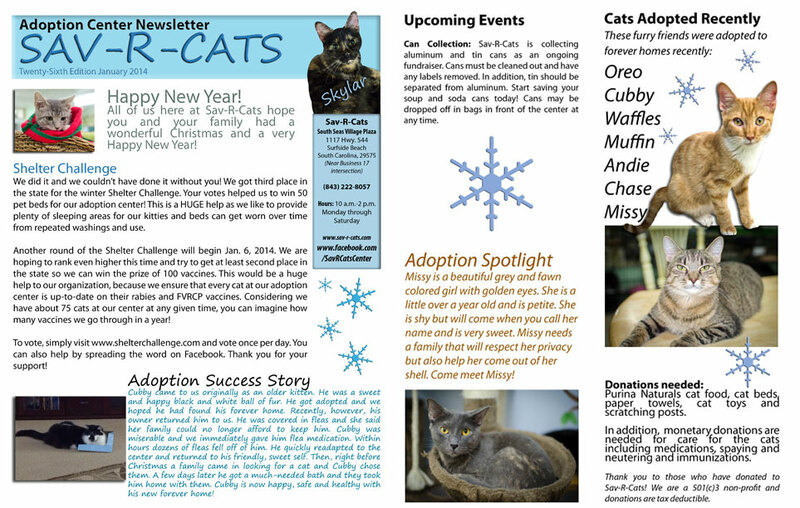 Click here to check out our January 2014 newsletter for our adoption center! 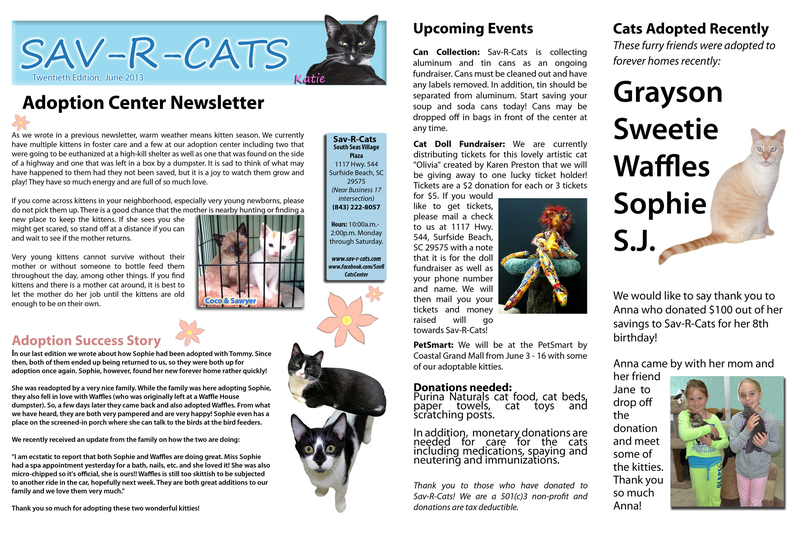 This entry was posted in Newsletters and tagged events, news, newsletter on January 6, 2014 by savrcats. 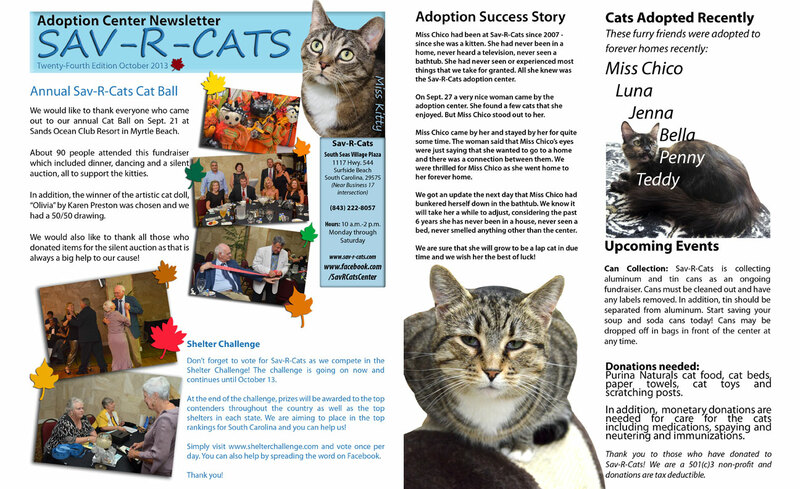 Click here to view our October 2013 Sav-R-Cats Newsletter and click here to view the photos from our Annual Cat Ball. 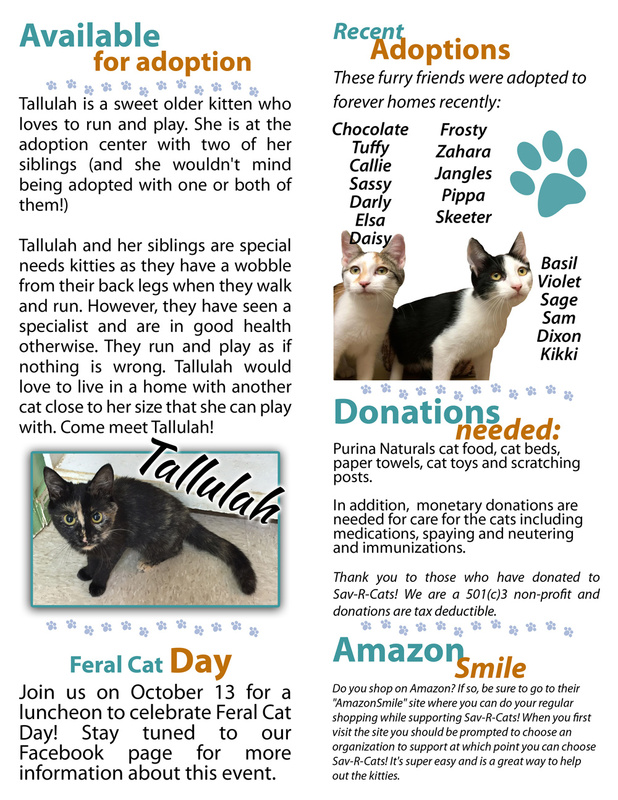 This entry was posted in Newsletters on October 7, 2013 by savrcats. Click here to view our September Newsletter. 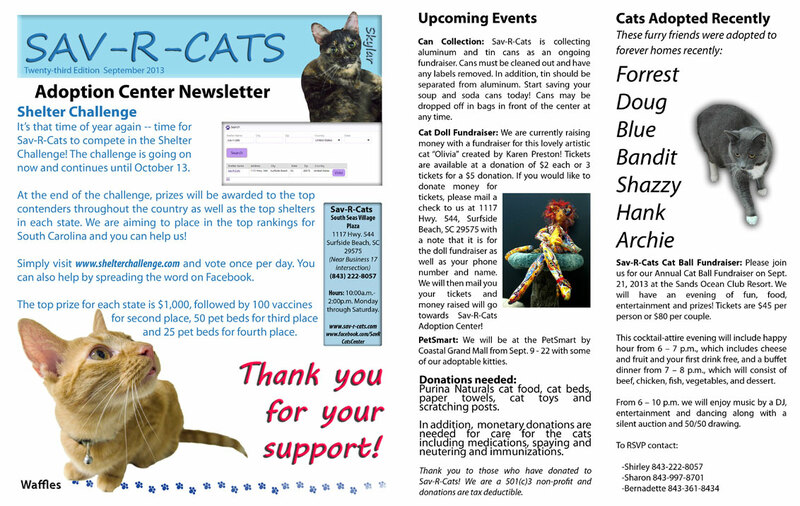 This entry was posted in Newsletters and tagged news, newsletter on September 18, 2013 by savrcats. 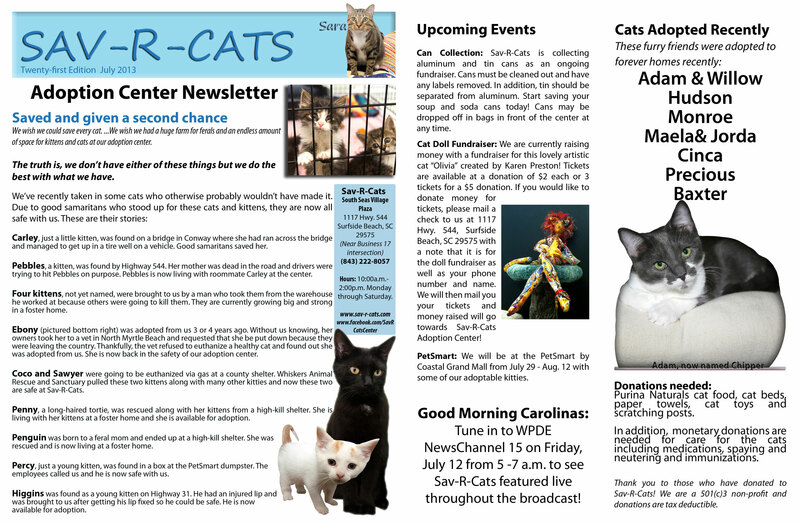 Click here for our July 2013 Sav-R-Cats Newsletter! This entry was posted in Newsletters and tagged newsletter on July 9, 2013 by savrcats. Click here to view our June 2013 newsletter! 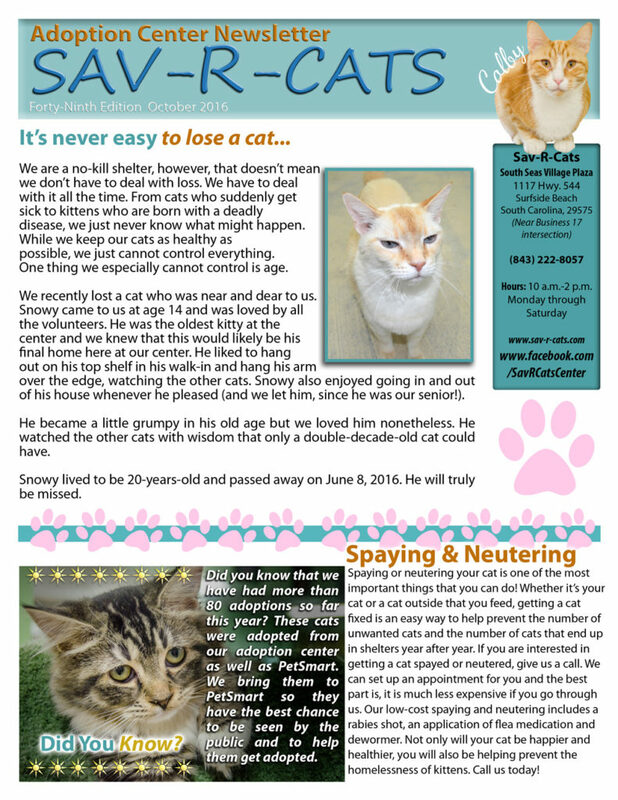 This entry was posted in Newsletters and tagged newsletter on June 3, 2013 by savrcats. 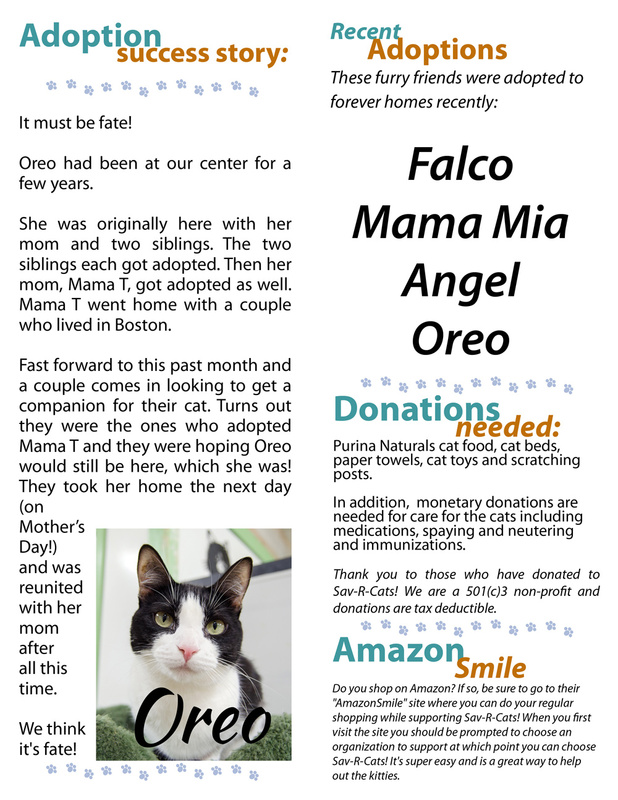 View our May 2013 Adoption Center Newsletter here! 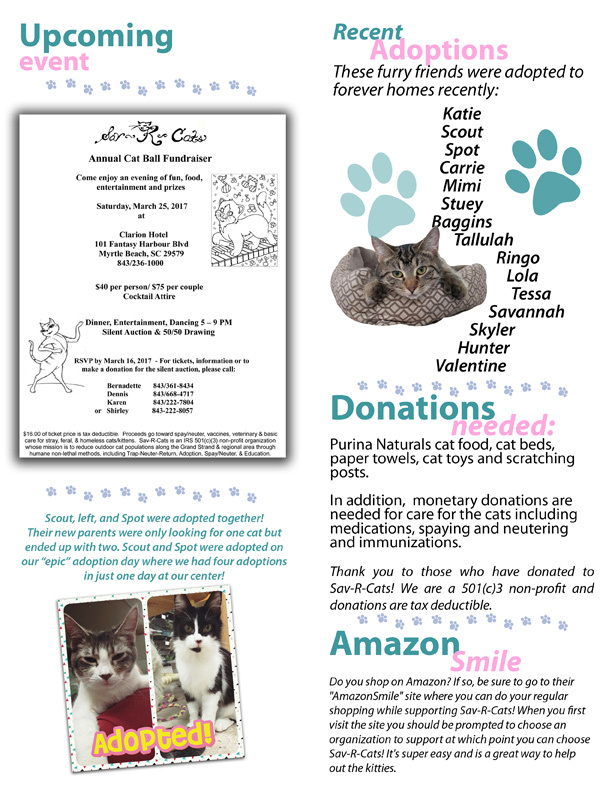 This entry was posted in Newsletters and tagged newsletter on April 29, 2013 by savrcats. 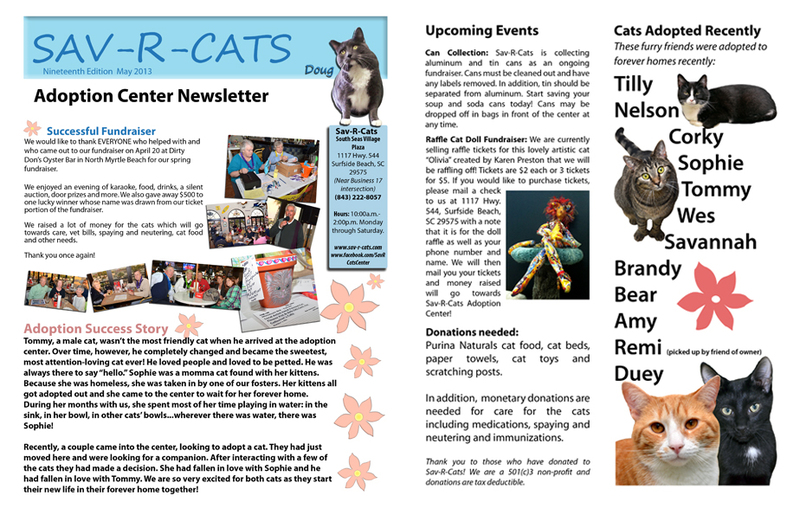 Click here for our April 2013 Newsletter! 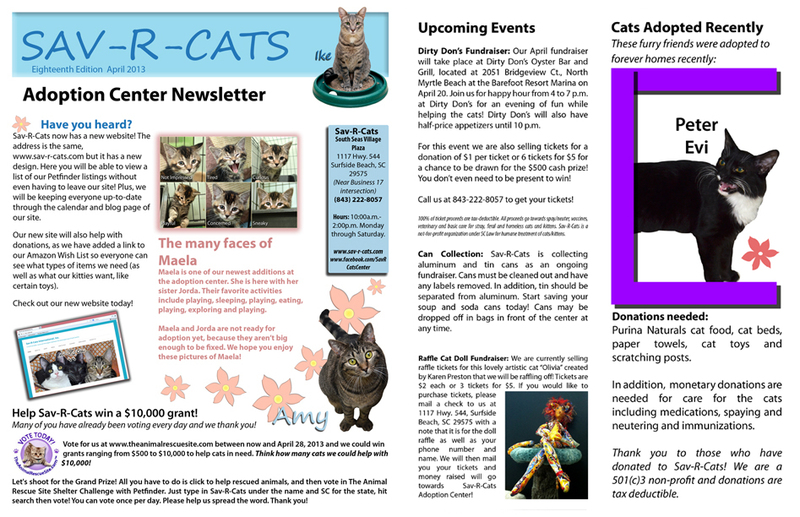 This entry was posted in Newsletters and tagged newsletter on April 4, 2013 by savrcats.